Public schools: In many states, you can choose between public schools in your own school district, or even have your child attend a school in a different district. Charter or magnet schools: These institutions receive public funding and usually operate using a lottery. Some specialize in developmental disabilities like autism. Private academies: Since they may not receive public funding, private schools often have a choice about accepting kids on the spectrum. Some specialize in autism and only accept kids with autism spectrum diagnoses. Home schooling: Some parents choose to educate their child at home, often with the assistance of therapists. If you have some flexibility with your location, it may make sense to consider the top schools for autism spectrum disorders. The following programs specialize in educating children with autism and are recognized nationally for their success. The Autism Academy of Learning, located in Toledo, Ohio, is a year-round public charter school for children who have been diagnosed with some form of autism. They may also have other disabilities in addition to ASD. This school focuses on providing these children with a solid foundation in behavior management skills, daily living, and vocational skills. It also has a strong emphasis on academic learning. The Autism Academy of Learning has a charter from the Ohio Department of Education. One reviewer on Great Schools noted teachers work one-on-one with students a lot of the time and are skilled at interacting. Land Park Academy, a behavioral-based program located in Sacramento, California, also offers a great educational program. Land Park Academy is a non-public school which serves children ages three to 22 diagnosed with an autism disorder. They work to make children successful in the traditional public school environment, using IEP goal and various therapies. TheBestSchools.org lists Land Park Academy as a recognized educational resource for children on the autism spectrum in California. Founded by parents and local business people in Jacksonville, Florida, The Jericho School offers specialized, science-based education opportunities for people with autism and additional developmental disorders. Jericho's curriculum incorporates Verbal and Applied Behavior Analysis (ABA) to provide students with individualized and comprehensive instruction. With a rating of five stars on Private School Review, this school is well-reviewed by parents who have had children attend. One mother noted the science-based curriculum at Jericho helped her low functioning autistic daughter become a productive and happy adult. With its student-centered philosophy and intensive education plans, Minnetonka, Minnesota-based Lionsgate Academy offers a great program for students with high functioning autism. Each child's IEP (Individualized Education Plan) and PLP (Personalized Learning Plan) include viable steps towards gaining a solid education paired with real life skills for use after graduation. There is also a program for twice-exceptional kids. This charter school serves children in grades seven through twelve. Lionsgate has more than 45 reviews on Great Schools and a ranking of five stars. Parents praise the warm, inclusive atmosphere of the school and the support children receive in meeting individual goals. In addition to outreach services for families with children with ASD, The Victory Center provides intensive, one-on-one academic instruction to children from three to fifteen years old. The curriculum also incorporates ABA as well as small group-based activities to build social and communication skills. The school has received several very positive Facebook reviews from parents, who especially praise the kindness and skill level of the teachers and note that their children are happy at the school. Camphill Special School, located in Glenmoore, Pennsylvania, is a private school that serves children with a variety of autism spectrum disorders as well as other cognitive and developmental disabilities. The Waldorf-based school offers both residential and day programs and includes a transitional program for young people ages 18 to 21. The Camphill Special School is listed as one of the 50 Best Private Special Needs Schools in the United States by Masters in Special Education. A group of parents founded Imagine Academy in Brooklyn, New York in order to bring an integrated approach to their children's education. In addition to its comprehensive academic curriculum, Imagine offers students a unique amalgamation of DIR/Floortime therapy and ABA therapy. Other educational components include sensory integration, fine motor activities, speech therapy, and social skill building. This program serves children from age five to age 21. The Imagine Academy received funding from the Disability Opportunity Fund, which called it "a dream come true" for ASD children and their families. Located in Waldwick, New Jersey, The Forum School is a private, non-sectarian day school designed to meet the needs of children up to age 16. Adult to child ratios are approximately one adult per every two children, and structurally and academically stimulating curriculum plans are individually geared to each child's needs. Parent reviews on Facebook are very positive, praising the school's effectiveness in making progress on social and academic goals, as well as life skills. Founded in 1934, the Heartspring School is located in Wichita, Kansas. It offers a multi-disciplinary program in which many specialists work together to serve the needs of children though both classroom-based and residential education programs. It serves children between five and 21 years of age. Lindt USA awarded the school's founder and director, Connie Erbert, its Unsung Hero of Autism Award for her educational work in the autism community. If you live in a metropolitan area, there may be other schools that would be perfect for your child on the autism spectrum. Consult your child's current teachers and therapists for recommendations about schools specializing in autism spectrum disorders. You can also ask other parents in your autism support group or in your social circles. Additionally, you can find location-specific recommendations for autism programs in your area by searching on The Autism Education Site. There, you'll see a listing of all the autism program in your state. 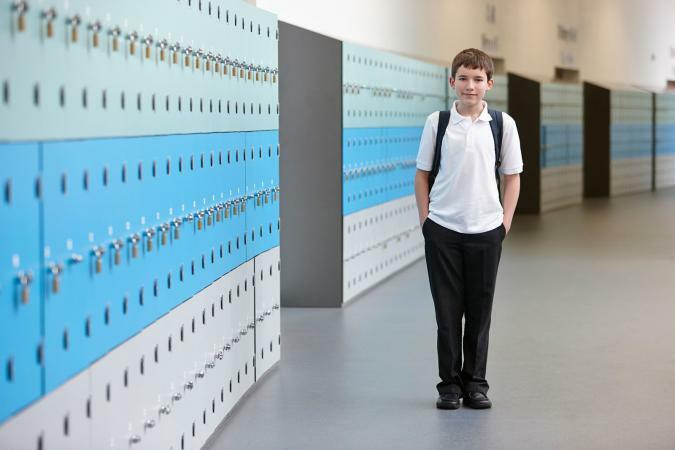 What Makes a School the Best for Autism? Children with autism, whether they are low- or high-functioning, will require individualized attention from teachers. Your child may need extra help interpreting non-verbal communication, using school equipment, paying attention in class, or behaving in the classroom. When choosing a school, ask about the student-to-teacher ratio to ensure he or she will get necessary help. Also consider schools that provide paraprofessionals, or specially-trained aides, that can bridge the gap between the classroom teacher and your child. However, when comparing between schools, you may notice variation in the amount of service your child receives. Choose a program that meets your child's needs or negotiate with the school to be sure your child is receiving the necessary help. In public schools, your special needs child will have an individualized education plan (IEP). This plan details how the school will help your child achieve important goals in the coming years. When considering any school, public or private, be sure your child will receive this type of individualized service. The best school for your child is not just the one that offers him or her the best education; it's also one where your child is emotionally supported. Although autism is becoming a more public disorder, there are still those who do not understand it. When deciding on a school, talk to the teachers and principal to be sure they understand how autism affects your child and have the background and education to support your child and family fully. Additionally, children on the autism spectrum can be the target of bullying, so it's essential that the school has a rigorous anti-bullying policy in place. No matter which school you choose, the Individuals with Disabilities Education Act requires that a student with a disability be educated in the "least restrictive environment." This means the child should be included as much as possible in normal school activities and settings. As you consider schools, discuss least restrictive environment with the staff and ask how they incorporate this mandate in their programming. This ensures that the program is designed to help children function as much as possible in the typical school and life environment. Many school ranking sites use standardized test scores as the basis for their ratings, and you may notice that schools specializing in autism sometimes have low ratings for this reason. It's important to note that state standardized tests are one measure of school success, but they do not always accurately reflect the performance of children on the autism spectrum. Just as your child's standardized test performance may not represent his or her abilities, a school specializing in ASD may not be accurately judged by the average test scores of its students. If you are looking for a new school and concerned about low test scores, it's a good idea to ask the staff about this directly. What are your goals for your child? Are these reflected in his or her IEP? How will the school meet these goals? Do the professionals at this school understand autism and its challenges? Do they have experience working with children like yours? Is the school willing to make accommodations for your child, such as sensory breaks, special learning tools, and the help of a paraprofessional if necessary? Will your child receive enough attention to succeed at this school? 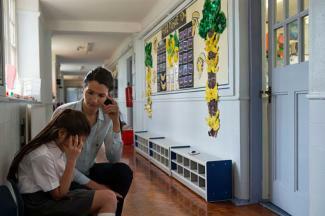 How does the school approach bullying? Do they not only have an anti-bullying policy but follow it as well? Home schooling is also an option for the autistic child and has the benefit of complete control of the environment, allowing total focus on the education and course of treatment for the autistic child. However, it also is very demanding on both parents, and there is a lack of outside socialization which can make later integration into larger society difficult. If you choose to home school your child, be sure he or she gets outside help from therapists who specialize in autism. Regardless of what kind of school you choose for your child with autism, the most valuable educational resource your child has are the people who love him or her. You know your child better than anyone else, and after you've visited a few schools, you'll have a sense of which program best fits your child's learning needs.